Lilium nepalense is a hardy plant species in the lily family. It is native of the Himalayas and nearby regions and grows in wet forest borders, between 1200 m and 3000 m above sea level. 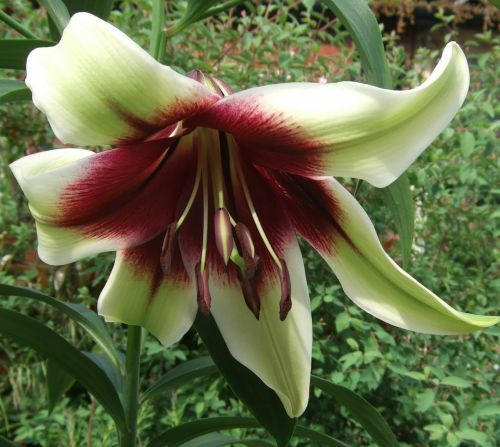 Lilium nepalense is famous for its large funnel-shaped flowers which can be as many as eight on each stem. They flowers are richly coloured, trumpet shaped with a lime-green, recurved hood.